As the song goes, "If you're going to San Francisco, be sure to wear some flowers in your hair." We're going to amend that statement to say that you should also be sure to bring some stretchy pants. That's because San Francisco is a culinary mecca on par with some of the greatest cities in the world. From San Francisco sourdough to the original Mission burrito, the City by the Bay offers a bevy of famous eats that you can't experience anywhere else. 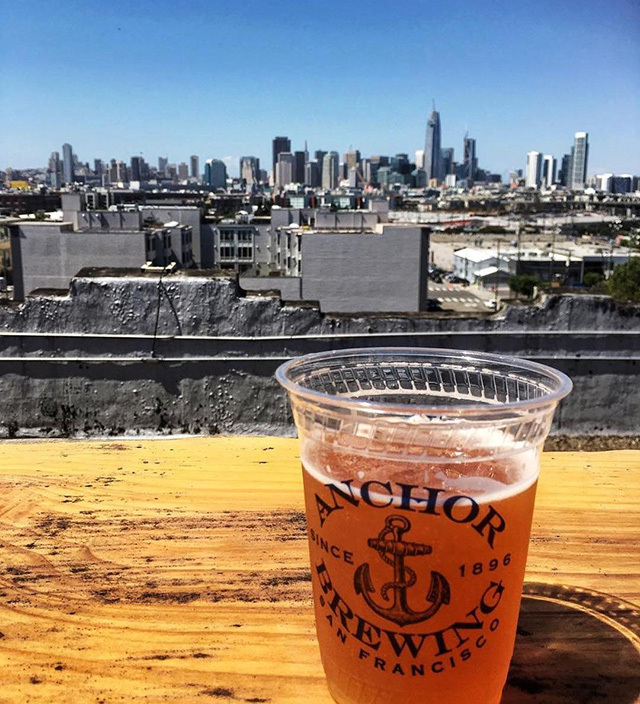 Anchor Steam BeerAmerica's first craft brewery was born during the Gold Rush. Founded in 1896, this Fog City staple has been around for almost as long as the city itself. The name harkens back to a time when brewers worked in primitive conditions, using the cool climate of San Francisco's rooftops in lieu of ice to cool the wort. The warm liquid would steam when exposed to the night air, and the name stuck. Today, visitors can tour the brewery and enjoy tastings of this iconic San Francisco beverage. Irish Coffee from Buena Vista CaféIronically, the Irish coffee was not popularized on the Emerald Isle. It was commercialized in San Francisco, where Buena Vista cafe co-owner Jack Koeppler challenged international travel writer Stanton Delaplane to help him re-create a highly touted "Irish Coffee" served at an airport in Ireland. The two experimented, ultimately crafting the perfect combination of hot coffee, Irish whiskey and whipped cream. 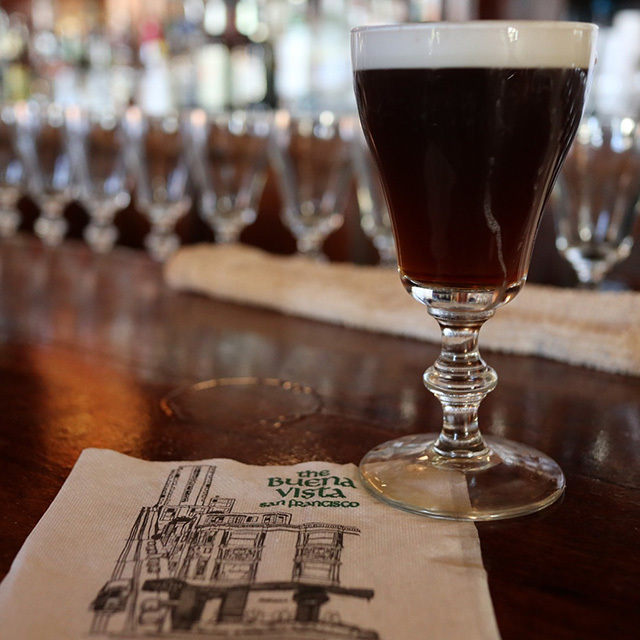 Nowadays, the Buena Vista Cafe on Hyde Street reportedly serves up to 2,000 Irish coffees a day! 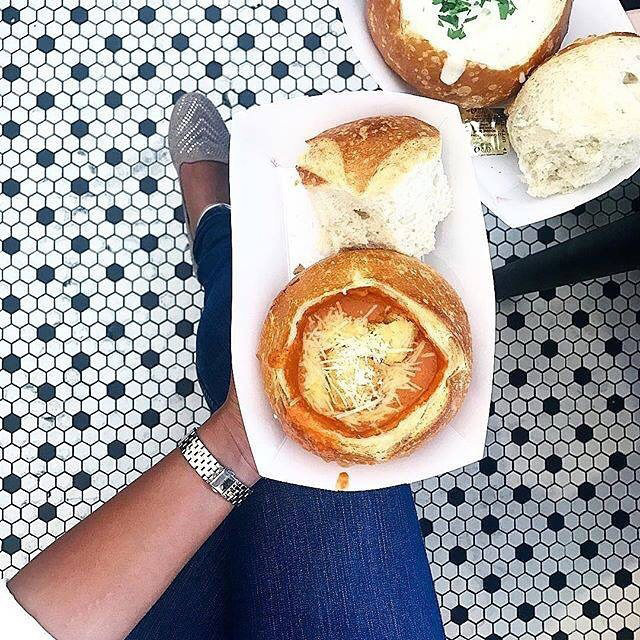 Sourdough Bread from Boudin SourdoughNo trip is complete without a bread bowl full of chowder from the Boudin factory. The Original San Francisco Sourdough (as Boudin calls itself) is the longest continually operating business in the city, having baked bread since Isidore Boudin perfected the recipe in 1849. The flagship factory on Fisherman's Wharf serves not only bread bowls but also animal-shaped loaves for the little ones. Mission Burrito in the Mission DistrictThe Mission-style burrito originated in San Francisco's Mission District, a neighborhood traditionally dominated by Central American culture. Noted for its jumbo proportion, the Mission burrito includes extra rice and other goodies, such as sour cream, guacamole and salsa. Hundreds of taquerias serve San Francisco-style burritos in the city. 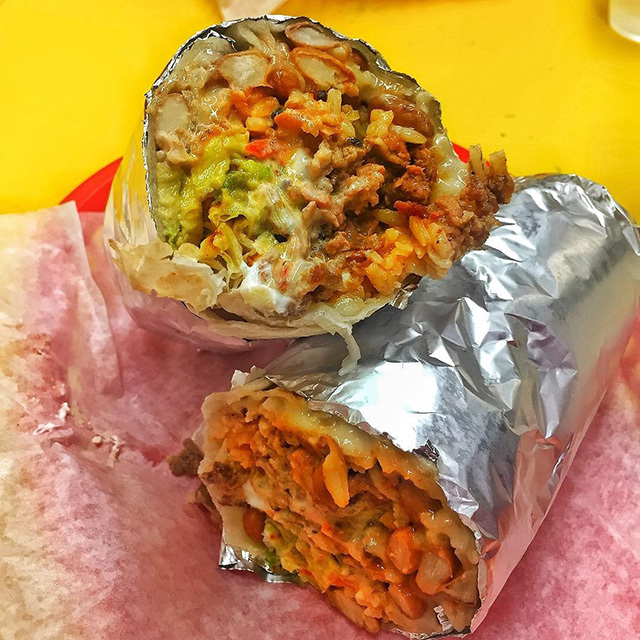 Try El Farolito or Taqueria La Cumbre for a true San Francisco burrito experience. 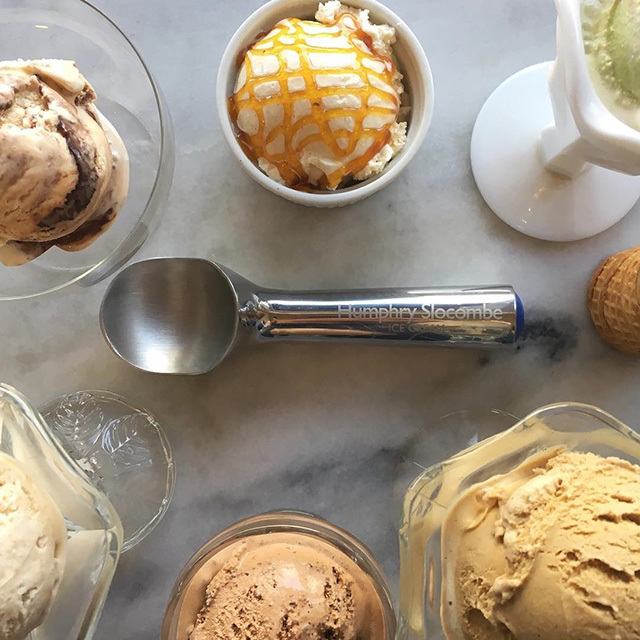 Secret Breakfast from Humphry SlocombeA wildly popular ice cream joint, Humphry Slocombe has become a San Francisco icon since it started scooping in 2008. Although the menu routes regularly to accommodate fresh seasonal ingredients and off-the-wall flavor combinations, such as Candy Cap-mushroom and peanut-butter curry, they're known for innovative staples like their Secret Breakfast Ice Cream, a unique combination of bourbon and cornflakes. This boozy treat is a hot seller, so get there early in case it sells out. Dim Sum in ChinatownFrom takeaway spots like Golden Gate Bakery to sit-down restaurants like Lai Hong Lounge, the bustling streets of Chinatown are the best spot for dim sum. 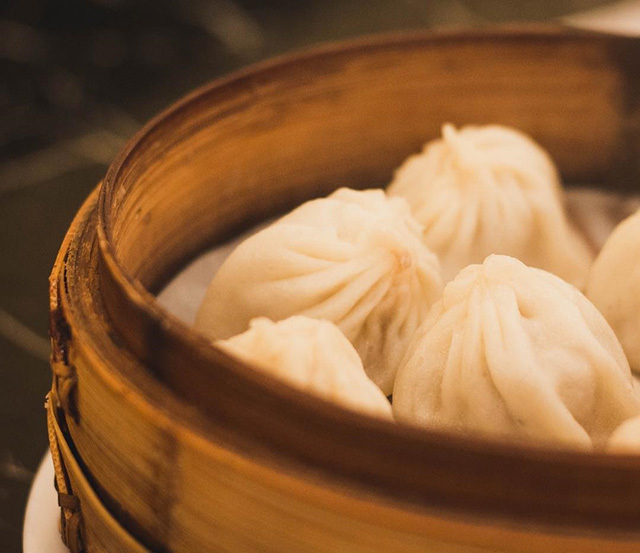 Traditionally eaten for breakfast, dim sum is an assortment of bite-sized pastries, steamed dumplings and vegetable-based dishes. Nicer sit-down places serve tea with the food, while the waiters make rounds between the crowded tables with pre-cooked selections. You can also order fresh dishes from the menu. Martini in North BeachThe martini was actually invented at the Occidental Hotel in San Francisco. However, the hotel was destroyed in the 1906 earthquake and subsequent fire, so the next best place to have a martini is in North Beach, a bastion for Italian food with a lively bar scene. Have a hearty dinner at Tony’s Pizza Napoletana or Original Joe's before downing a classic San Francisco cocktail. This northern neighborhood overlooks the birthplace of the Martinez cocktail, the eponymous city just visible far across the bay. 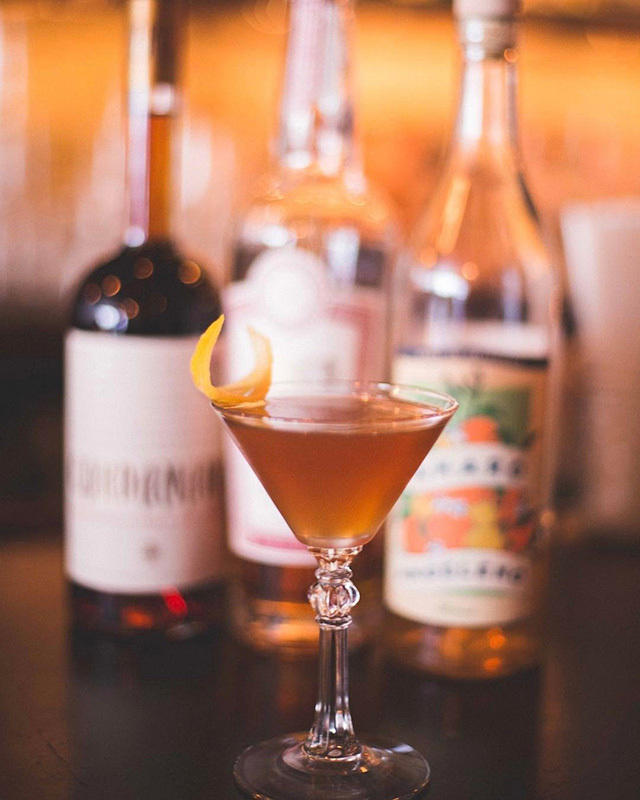 Eventually, the Martinez — a combination of gin, vermouth and maraschino liqueur — dropped the liqueur, and the modern martini was born. Espresso at Caffe TriesteWhile we're on the topic of North Beach, you can't miss a quintessential beatnik experience. 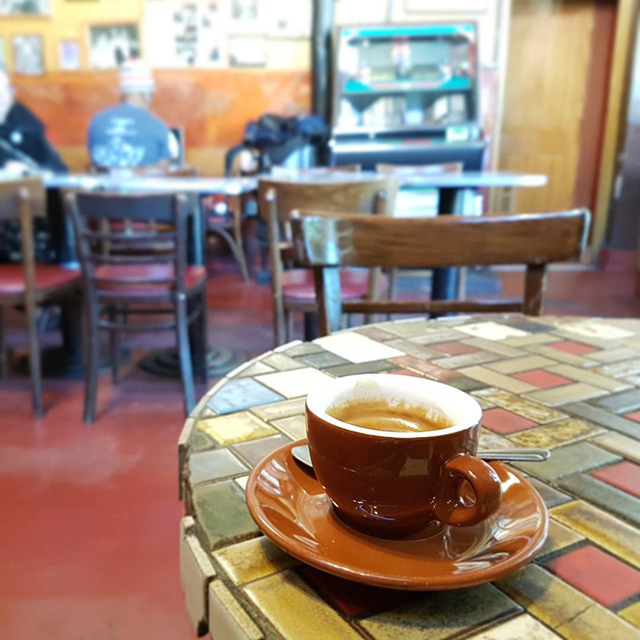 North Beach was a hub for the Beat movement in the 1950s, and Caffe Trieste on Vallejo Street was a favorite gathering place of figures like Jack Kerouac and Allen Ginsberg. The coffee shop walls are also lined with photographs of its Hollywood connections. A number of actors have been known to frequent Caffe Trieste, and Francis Ford Coppola supposedly wrote much of "The Godfather" script there.